David Services, Inc is proud to serve the Richardson community! Please call us today at 972-920-5512 to consult with our home comfort specialist. 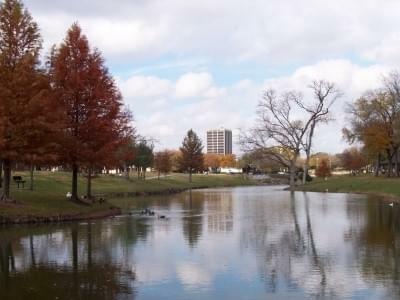 Richardson, Texas is a city found in Collin and Dallas counties, and as of 2014, the population was approaching 109,000. This city is an affluent suburb of Dallas, and it is home to the Telecom Corridor, which has high concentration of telecommunication companies, including Verizon, Samsung, Texas Instruments, and Cisco Systems. Richardson is a great place to both live and work, with top employers including State Farm Insurance, AT&T, and Blue Cross and Blue Shield of Texas. The University of Texas at Dallas is also found in this community. Richardson, TX is home to a variety of unique attractions. Auto enthusiasts often enjoy visiting this community to check out the North Texas Automotive Museum. Performing arts fans may enjoy a trip to Alamo Drafthouse Cinema or the Eisemann Center for the Performing Arts. Residents who feel that they need a day of relaxation or pampering may like to visit the Phoenix Foot Spa, Studio Martica, or the Spa at II Creeks. Other notable attractions in Richardson include Four Bullets Brewery and the AMF Bowling Center. The weather in Richardson attracts both visitors and prospective residents to the area. As part of a humid subtropical climate zone, winters in Richardson are mild to warm in terms of temperature. January is the coolest month, but average high temperatures reach the mid-50s, although overnight lows can fall into the 30s. Residents should make sure that their heat pumps or furnace systems are in proper working order during the autumn so that they are ready when needed. The weather will warm up quite quickly throughout the spring, and by July, average daily highs are in the mid-90s. An energy efficient air conditioning unit is essential to staying safe during this time. Without these systems in place, heat-related illnesses could be a real concern for Richardson residents.